Nationally recognized educator, author and ADHD expert Karen Sunderhaft will be sharing teaching tips this week for ministry leaders and volunteers serving kids with ADHD. Today, we’ll focus on tips for parents of kids with ADHD. 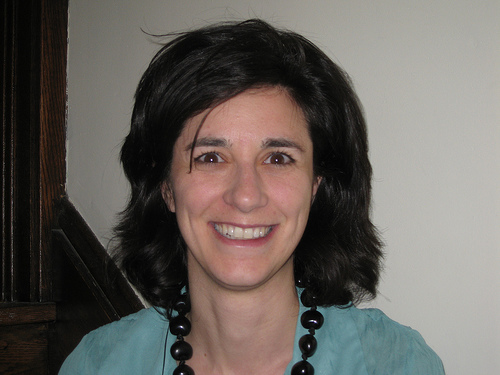 For more information on Karen, click here. C4EC: Your family is active in a Roman Catholic church. In most Catholic churches, kids with ADHD would be expected to attend Mass (worship services) with their families. 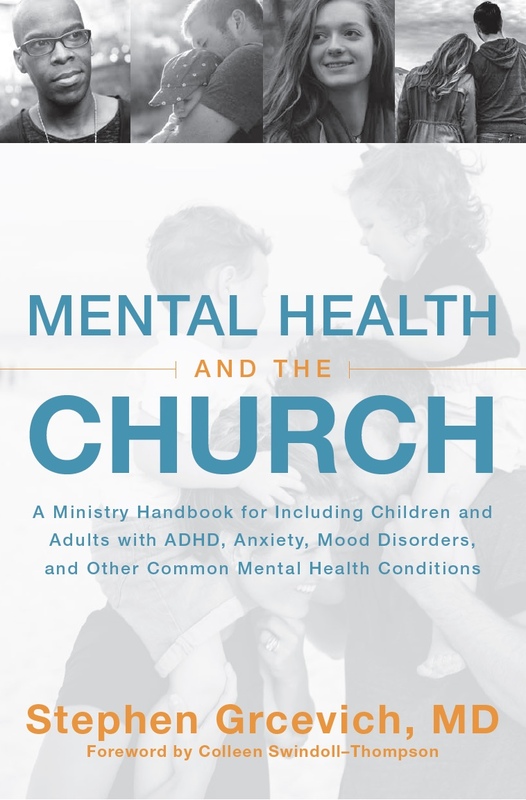 What suggestions would you have for parents of a child with ADHD who want to have a meaningful experience at church, but have kids who struggle with self-control when they’re bored in worship services designed for adults? Karen: Parents can put together a “Bag of Tricks.” This is the same type of bag I bring on airplane rides. Remember what they say there…..give yourself the oxygen first before administering to your child. Think of this bag as being filled with little trinkets of oxygen and dispense one at a time as needed. The bag, and its contents, will change over the years, but either way it should be filled with some items that don’t make noise, are new and engaging and include something to hold your child’s attention for bursts of time. The bag should only come out during these special times. In fact you can use puffy paint to have your child decorate their special bag. This makes it more meaningful for them. Everyone’s magic bag may be different, but mine includes paper and pencil for drawing, silly putty, stickers, small figurines, small books (some churches have their own basket of children’s church books). My favorite books are those with open the flaps. They are great for younger kids. Basically I fill this bag with anything that I can find at the dollar store that fits the criteria for “quiet and engaging” items. Depending upon your church a mini bag of cheerios or gold fish might be good too. There may be some of you out there who believe that your child should sit still and listen attentively to the homily or sermon, but I would set the goal of asking your child to try to find one thing that they either heard or saw at church that they really liked. Set this expectation up ahead of time, so the child knows what will be happening. I am a big believer in helping the children establish and expect a routine from experiences, so there are no surprises. Then have them share that with you on the ride home one thing they learned. I believe that even though they may be drawing…..they are still taking in the sights and sounds around them. C4EC: Many churches expect kids with ADHD to memorize Bible verses, prayers or worship songs. Since kids with ADHD frequently struggle with memory and recall, do you have any pointers for parents or Sunday School teachers to help? Karen: Set it to music. There is so much research out there about the benefits of using pneumonic devices to remember something. C4EC: There’s a growing “family ministry” movement, in which church leaders see their role as a support, not a substitute for parents in teaching kids about matters of faith. What advice do you have for moms and dads who want to instruct their child in the family’s faith, but are worn down from the struggles to complete schoolwork common among kids with ADHD? Karen: PRAY: When my first child was born I went to a mom’s group through my church. I will never forget the one comment the speaker shared. She said that she prays for her kids’ safety and guidance from God, but she also prays even more for the people who will come in contact with her child throughout their life. What an interesting concept, to pray for my daughter’s best friend, or my son’s future wife. How many times can I tell my son to wear a jacket when it is cold, but as soon as his best friend’s mom suggests he wear a jacket, he responds as if it is the first time he heard this brilliant idea. This is one piece of advice I always like to pass on. The other thought I have is something you have heard before. You are your child’s first teacher and your actions speak louder than words. You are a role model in your faith. Try to do one activity a month that gives back to others and talk about that at home. Whenever I make a meal for a sick friend or someone that had a baby we talk about it or deliver it together. I am grateful for the BREATHE events I help run four times a year at my church. My entire family (ages 4, 8 and 9) joins me to help out wherever they can. PRAY. We pray before meals, even when out in public, or when friends come over for dinner. We pray when we see an ambulance speed by or we pray together when someone is sick. We pray for strength and guidance as we struggle with school work, jobs or friends. We pray to give thanks for a great day, a great friend or a special event. Family conversations about God will eventually happen on their own, but only when the parents start the praying and doing in God’s name. C4EC: So why should parents of kids with ADHD bother going through all the hard work and effort to make it to church each week and to worship with others? “I’ve been married for 30 years now. In that time, my wife has cooked some 32,000 meals. But, for the life of me, I cannot recall the entire menu for a single one of those meals. But I do know this…they all nourished me and gave me the strength I needed to do my work. If my wife had not given me these meals, I would be physically dead today. Likewise, if I had not gone to church for nourishment, I would be spiritually dead today! When you are DOWN to nothing…..God is UP to something! Faith sees the invisible, believes the incredible and receives the impossible! Thank God for our physical AND our spiritual nourishment! It is the same with everything…you may not remember the exact words of this blog, but I hope that you will come away with a firm feeling of commitment or resolve to do one thing differently. Be a warrior for God and your family…..both your family at home and your family at church. C4EC: Thanks, Karen. You’ve been extremely generous in sharing with your time and talent in helping churches and parents to teach kids with ADHD about a God who loves them and has great plans for them! 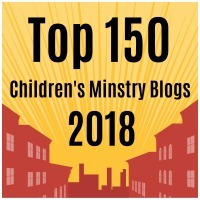 This entry was posted in ADHD, Families, Key Ministry, Parents, Spiritual Development and tagged ADHD, children's ministry, church, Family Ministry, Karen Sunderhaft, Key Ministry, Parents, spiritual development, Stephen Grcevich MD. Bookmark the permalink. We have to talk! I am from St. Gabriel in Mentor and just got back from a trip with Key Ministry in Cinci. As a “fellow catholic” I would love for us to join forces and collaborate on how to be more inclusive in ways that may be unique for our PSR programs. I am the PSR principal at Gabes and also involved in our Special Needs PSR program. I also have an 8 yr. old with ADHD. I really liked your blog and think we could be helpful to each other. I look forward to talking with you!